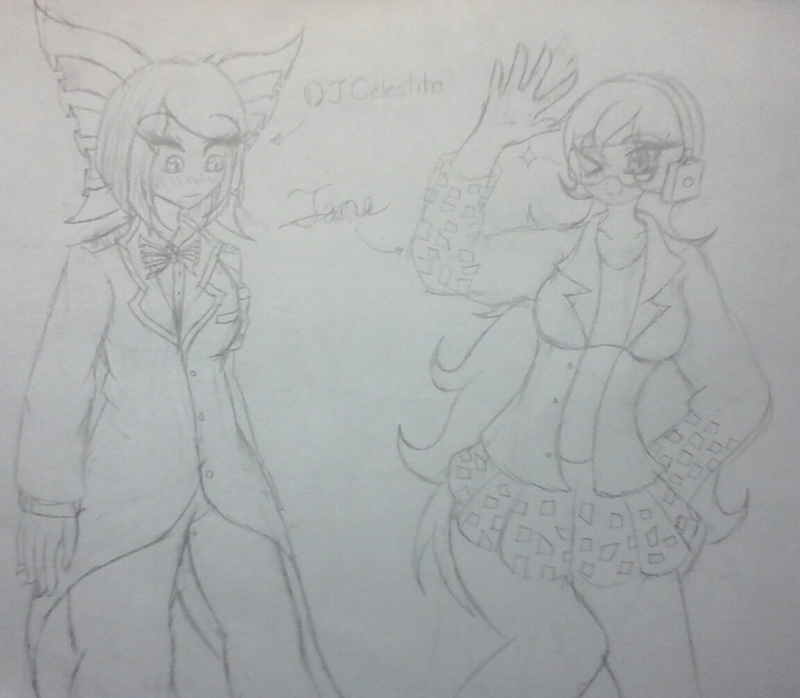 Credits to Celeste for allowing me to use DJ Celeste in this Project! Basically what im doing is taking 2 people and switching their outfits to promote a new art thread that I'll be creating shortly! So to everyone who guessed that I wouldnt spoil my own surprise, congrats! You get bragging rights! btw it was originally going to be digital, but my idiot self deleted the sketch on accident ._. Fluffluf, Rini Chan, Frost_the_frost and 9 others like this.